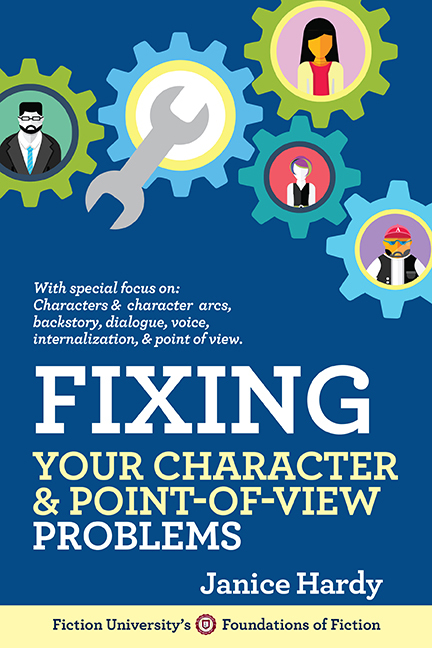 From a writing standpoint, internalization is what the character is thinking. It’ll comprise a lot of your narrative, especially if you have a tight point of view (POV), so it makes sense that it would be fertile ground for some common writing snags. POV shifts, infodumps, backstory, and the dreaded telling. Unsurprisingly, all things that occur when the writer forgets to be “internal” and looks at things from the outside. Internalization is personal. It’s often where you really get to know a character because they’re the most “them” in those internal moments. Definition #1: to incorporate (the cultural values, mores, motives, etc., of another or of a group), as through learning, socialization, or identification. If this doesn’t say “point of view” I don’t know what does. Looking at the world and people around you and making that part of your social identification. Internalization is a great tool for showing the world our character lives in and how they feel about that world. It’s perfect for crafting description that doesn’t come across as just a list of facts. The main door loomed ahead. Had it always been so high? So wide? It swallowed me with a half dozen others and we milled in the antechamber. The usual shafts of late afternoon sunshine from the dome’s windows were nothing more than pale gray light today, veiled by the rain. Bleak light. Bleak mood. Bleak chances. But not as bleak as Tali’s if I couldn’t get her out. It’s description, but the details are all colored by how the narrator sees this world. And in this example, even those views are changing (which gives you a nice trick to show a character’s ideas evolving). A door the narrator once walked though without thinking sudden looks bigger (suggesting she feels smaller now, more vulnerable and helpless). Sunlight coming through windows now looks bleak, mirroring her mood and the chances of her succeeding in her scene goal. But what if you took out the internalized parts? The main door loomed ahead, high and wide. It swallowed me with a half dozen others and we milled in the antechamber. The shafts of late afternoon sunshine from the dome’s windows were nothing more than pale gray light today, veiled by the rain. I had to get Tali out. Kinda flat, huh? No real sense of the world, just details on the page. It doesn’t make you worry, or set the mood, or give you any sense of the narrator. Definition #2: To make subjective or give a subjective character to. Again, more POV. Things aren’t objective, but subjective. It’s the judgment your character brings to everything they say and think--they’re biased about what they see based on their own life experiences. How they were raised, what they believe in, what they hate and love. Good internalization will show how that character is subjective to the world around them. Their opinions, their biases, their beliefs. One fun thing about this is that the character can be wrong, or have non-politically correct ideas, because it’s what they believe, not what the author thinks. I do this a lot in The Shifter because the narrator is very prejudiced against the people who have invaded her city and killed her family. The wards gaped. The crowd stared. No one moved to help. Why would they? I was just some river rat and nobody questioned an Elder, though I’d bet a week’s lunches that if my hair was Baseeri black, someone would have stepped forward. This is all the protagonist’s opinion of how she judges the situation she’s in. It shows her own bias toward the crowd and the Baseeri. She firmly believes that her low economical status and native racial appearance (she’s blond like most of her people) are the reasons no one is willing to help. That if she were Baseeri, folks would have defended her. This says a lot about her and the world she lives in, and it does it all by letting the reader see what she thinks about the world. Internalization is also a great tool for handling infodumps. There are times when we need to convey information and there’s just no easy way to get it in there except for having the protagonist think about it. But if we keep it in their voice (let them internalize and judge what they’re thinking about) then it comes across more naturally. Both paled when I mentioned the Luminary. We got a new one every year, like some rite of passage the Duke’s Healers had to go through to prove their worth. The new Luminary was Baseeri of course, and like all Baseeri who held positions that should have been held by Gevegians, no one liked him. He’d only been here a few months, but already everyone feared him. He ran the League without compassion, and if you crossed him, you didn’t stand a chance at getting healed if you needed it. You or your family. Both paled when I mentioned the Luminary. We got a new one every year and this one was Baseeri like all the others. He’d only been here a few months, but already everyone feared him. He ran the League without compassion, and if you crossed him, you didn’t get healed if you needed it. Bleh. This explains some facts, but do these flat facts make you care at all them having a new Luminary? Does it make you worry? I doubt it. While my examples are first person, this works no differently in third person. Internalization still focuses on what the POV character is thinking and how they see the world. Let’s take the above examples and make them third person. The main door loomed ahead. Had it always been so high? So wide? It swallowed her and half a dozen others and they milled in the antechamber. The usual shafts of late afternoon sunshine from the dome’s windows were nothing more than pale gray light today, veiled by the rain. Bleak light. Bleak mood. Bleak chances. But not as bleak as Tali’s if she couldn’t get her out. The wards gaped. The crowd stared. No one moved to help. Why would they? She was just some river rat and nobody questioned an Elder, though she’d bet a week’s lunches that if her hair was Baseeri black, someone would have stepped forward. Both paled when she mentioned the Luminary. Geveg got a new one every year, like some rite of passage the Duke’s Healers had to go through to prove their worth. The new Luminary was Baseeri of course, and like all Baseeri who held positions that should have been held by Gevegians, no one liked him. He’d only been there a few months, but already everyone feared him. He ran the League without compassion, and if you crossed him, you didn’t stand a chance at getting healed if you needed it. You or your family. There’s a slightly more distant feeling without the “I” but it still sounds like the POV thinking these things. Take out the internalization and these examples would all feel very told. Internalization takes the general and makes it personal. As you study your own work, look for opportunities to show how your characters feel about their worlds and situations. Show their opinions and beliefs, let them think about what it means on a variety of levels. Are there places to show world building? A moral belief? An aspect of the character growth? Sometimes a few words is all you need, especially if they're judgment words. There's a difference between "It was Bob" and "It was just Bob" and "Crap, it was Bob." A little attitude can go a long way. While not every detail needs to be internalized, they are opportunities to deepen your story and connect your reader to your character. Great post. And so timely for me because I'm working on this now in my revisions. Thank you so much for showing the 3rd person examples too because that's what I'm working with. What's your tips for showing a main characters internal thoughts--her actual words--in 3rd person without using she thought or she realized. Thanks. This is a fantastic post and I'm so bookmarking it. It comes at a perfect time. In a few weeks, I'm revising my MG story that I started last year. I need to sparkle up what I have a get better connection with the main character who is a boy. Thank you! This is really good. I'm not great a internalization. I find that I fall in the "bland" category but I'm going to try and work on changing my POV to make the scenes more interesting. Great post. I used to cut all of these, because trimming it out made the prose "shorter" which was supposed to be "better." Now I have to remind myself to add and keep internalization -- thanks for the examples! I will be re-reading this post with a fine tooth comb. This is wonderful. The best part is it's really subtle. It doesn't feel like telling or worldbuilding, it just feels like Nya's voice telling us the story. Do you consciously think about this while you're writing? Or does it come somewhat naturally? Natalie: I do it two ways. If I want an immediate "in the moment" feeling that emphasizes the thought, I'll use first person italics. If it's just regular internal thought, I make it part of the narrative as in the examples. She ran from the zombie. Please don't let it eat her. Anything but that. One trick is that when you're in the narrative, you have the POV touch their head or do something that draws attention to the head, then add the internal thought line. It's like a clue to the reader that they're about to go "in the head" of that character. She brushed the hair from her eyes. Windy today. Salarsen: Most welcome! Best on luck on those revisions. Clarissa: The skill will develop as you do it. The more you know about the opinions of your character (even if you make them up right there when you need it) the easier it gets. MK: You can definitely cut out all the style trying to write tight. (done that myself) Don't be afraid to flesh something out if it's the right something. Elizabeth: A little of both. The bulk of it is what I do naturally, but I still go back and tweak a lot. And a lot of my internalization is done in the second pass once I get the plot and story aspects down. I figure out what happens, then I make sure what is all means to that character gets int there. Excellent post Janice! Internalization is what allows the reader to feel that they are along for the ride. It gives tone and emotion to flat information and you have done an superb job of showing the power of this concept. Bookmarked. It’s amazing how much POV and internalization can get taken for granted, as a reader… and then struggled with as a writer. This was a great refresher on something that really makes a huge difference. Thanks for the examples Janice. Yes, they do help. This is sooo helpful! Thanks. Gene: Thanks! I love first person, so I live in my internalization. Emily: When it's done well you don't even notice it. Ya know, that probably makes it hard to study, doesn't it? Dear Janice, I was totally unaware of this concept. Now I feel like enlightened. Thank you very much. Great post! Most welcome! Glad it clicked on those light bulbs for you. Excellent. Excellent. What does the repetition of this word mean about me?? ?